Have you ever been told by a hair care professional that you have porous hair? Are you even aware what porosity is and how to identify it. We generally think of our hair in terms of length, thickness, and overall health. We rarely seek out hair care options for managing the porosity of our hair. In a previous post we explained the importance of maintaining a smooth closed cuticle, well your hair becomes porous when those cuticles have been open for too long and damage has occurred. High porosity is a symptom of cuticle damage and exists when the hair’s cuticles do not close properly and remain open. This causes your hair to absorb too much water, while at the same time not holding the right level of moisture. You can see this when highly porous hair becomes very dry. Certain hair types are more prone to a higher degree of porosity than others, but that doesn’t mean that you can’t work to minimize the level of porosity in your hair. Don’t know how to determine that? There is a simple test that you can do at home to understand whether or not your hair is porous. Place a hair that has shed naturally (do not pull it out or cut it) into a glass of room temperature water. The degree to which your hair sinks in the water shows how porous your hair is or is not. Hair that has a high level of porosity will sink, a normal level will float in the water, and hair with low porosity will remain unmoved on top of the water. Don’t have a glass of water handy? Try rubbing thumb and index finger along a strand of hair moving from the end to the root. If you feel the strand to be smooth you have low porosity hair, a bumpy ride indicates high porosity and cuticle damage. Now that you’ve tested your hair, what is the verdict? Is your hair highly porous – if the answer is yes don’t grab the scissors. 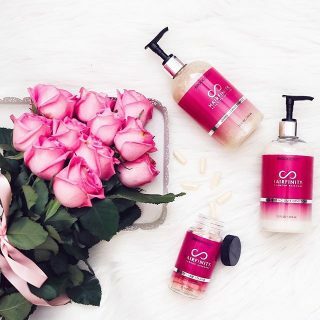 We can help you get your hair back to healthy with a combination of hair care tips and an improved regimen that includes HAIRFINITY healthy hair vitamins your hair will become healthier and more manageable over time. You’ve tested your hair for porosity – now what? Well, there are differing degrees of porosity and each requires a different level of care. You must first understand what type of care is best for your particular level or porosity and from there a hair care regimen can begin. We noted earlier in this post that hair that is porous is over exposed because the cuticle layer is too open. 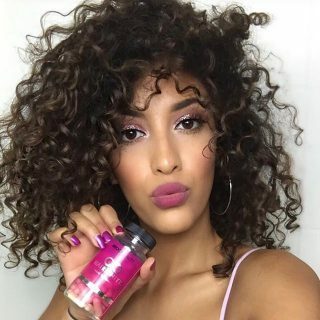 By taking a vitamin supplement such as HAIRFINITY, your hair will receive the vitamins and minerals that it needs to maintain a cuticle that is closed enough for protection but open enough to allow moisture to nourish your strands. Take a look at these tips to care for and manage hair that has become porous. Your cuticles lay tightly together and are pretty resistant to opening up for water and moisture, so frizz is not a huge issue for you. It may also feel as though every product that you put on your hair just kind of sits on top of your hair and feels like tacky buildup. Gentle shampoos lift your cuticle just enough to get moisture in – you don’t want it to lift too much, as this will set the scene for cuticle damage and high porosity to begin. Tip: Look for products with a balanced pH level. Too alkaline and you will end up with frizzy hair that will become porous. Your cuticle is already tightly closed so products that are more acidic will make the cuticle even more tightly closed keeping much needed moisture locked out of your strands. Either way hair will lose elasticity and become prone to breakage. Your hair is pretty laid back and low maintenance. The cuticles are open enough to get the right amount of moisture inside. Another benefit of having normal porosity is that your hair easily accepts chemical processes than the other two types. Overall your hair absorbs moisture at just the right amounts and you don’t have the shine issues that the other types have either. Tip: Don’t overdo chemical processes or heat usage. Keep an eye on the ingredients that you use, deep condition regularly, moisturize, and keeping heat to a minimum will go a long way to maintaining your normal porosity. Your hair is losing the battle against chemical processes, heat and quite possibly your natural environment. Your hair sank to the bottom of the glass like a stone and with little resistance because water was able to get completely inside of the cuticle. High porosity hair tends to take longer to dry and loses product moisture as quickly as it is absorbed. It will take lots of time and care to repair your hair, but if you follow these hair care tips you should have no problem restoring your hair to normal porosity. Tip: Limit the number of chemical processes and exposure to heated curlers and straighteners. Thick butters and oils will seal the cuticle and serve as a protective layer. A balanced pH level is important. Products with a balanced pH will work to close your cuticles to allow the proper amount of moisture rather than having it pass through the hair. Try an apple cider vinegar rinse to expel any pollutants in the hair that have made their way through your porous strands. A deep conditioning hair masque will also be very helpful in filling the gaps in your cuticle. The most important thing to do is focus on your new growth. 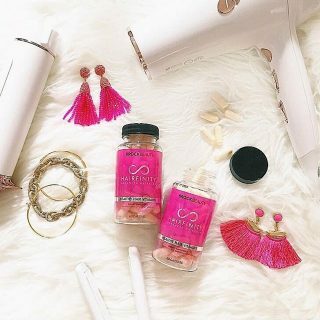 By taking the HAIRFINITY Hair Vitamins you will be able to strengthen your hair by improving follicle health and providing the building block for healthy hair to grow. Your strands may already be too far gone,; but the new growth can be protected and fortified. As it grows out you will find that your hair is much healthier as a result of your gentle care and attention. With a little time and patience you will be able to improve the health of your hair in a way that you never knew was possible. You’ve been fighting a battle against an opponent you never fully understood, but now that you know what porosity is and how it occurs you can develop a hair care regimen that will work for you, and your hair will thank you. Our hair is primarily made of keratinized protein fibers. The hair care steps that you take to maintain the growth of those fibers are what makes it shiny, dull, voluminous or flat means all the difference in the world. Since hairs are merely protein fibers it would make sense to replenish the protein on the ends with a variety of treatments that are protein rich. What’s on your plate – the very first step in growing healthy hair is nutrition. 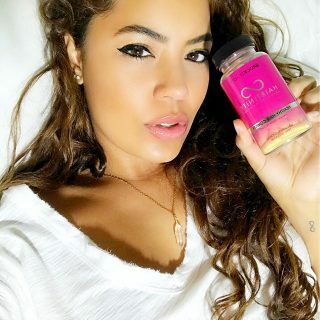 HAIRFINITY Healthy Hair Vitamins fill in any gaps in your diet and provide your hair with the building blocks it needs to grow healthy from the inside out. Deep conditioning – a protein treatment should be part of your hair care regimen regardless of your hair’s porosity. What is important to note is the manner in which you apply the deep conditioner. High porosity hair will not be fully repaired at the ends, you can pay very close attention to your roots and new growth making sure to fortify them so that they don’t face the same overly porous fate as your ends have had to endure. Egg wash – this is a great natural protein treatment for your hair. The protein in the eggs will restore and strengthen the cuticle, which over time will help them to lay properly. Be careful not to overuse egg washes (once to twice a month is optimal depending on the severity of the damage) because too much protein will cause your hair to lose elasticity becoming stiff and prone to breakage. Aloe vera gel – Aloe Vera based products are great for improving scalp and hair health. It has been long known to help heal damage on the scalp, balance the pH level, help regulate sebaceous function and maintain the proper balance in the scalp, which can help with hair health. Coconut oil – the natural hair care wonder oil. Coconut oil has the ability to get inside of the cuticle providing moisture and healing to damaged hair. Aside from using extra virgin coconut oil you should look for products that contain coconut oil such as HAIRFINITY Haircare to ensure that you are getting the maximum amount of moisture and conditioning in your hair care regimen. We’ve covered the different types of porosity and hopefully you’ve completed either of the tests we suggested in order to determine the level of your hair’s porosity. Once you’ve determined the level of damage to your hair you can move forward with a hair care regimen that will help restore your hair’s buoyancy and elasticity. We’ve put together a cheat sheet of our best tips as a quick reference to proper hair care for porous hair. It starts from the inside. Healthy hair starts long before you see a strand so it’s vital to provide your hair with adequate nutrition. 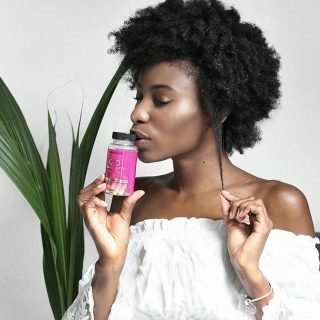 If your diet doesn’t create the perfect environment for your hair to thrive include a nutritional supplement like HAIRFINITY Healthy Hair Vitamins to give your hair a head start to healthy growth. Understands if your hair is alkaline or acidic. Limit the chemical and heat processes that you expose your hair to. Fill up on protein. Eating plenty of protein as well as using protein masks and deep conditioners will do great things for your hair overtime. Don’t over style your hair. Keep damaged ends cut – this will minimize frizz, which can lead to porosity if unchecked. Use products that are gentle on your hair to avoid unintended damage. 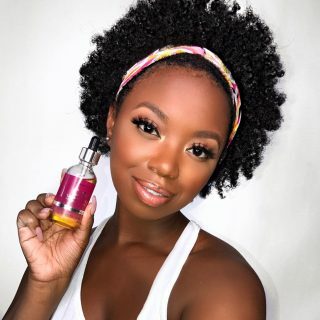 Find oils that work with your hair type and texture to either penetrate closed cuticles or get in the cuticle to improve the health of the hair. Highly porous hair is probably the reason that none of the hair care techniques you’ve tried in the past have been working, which can be pretty discouraging. But you shouldn’t feel defeated, because now you’re armed with information and a better understanding of how to take care of your hair and maximize its health and growth. Take a little time in choosing your products and developing a hair care regimen that is right for your hair. It will go a long way in providing you with the look you desire.